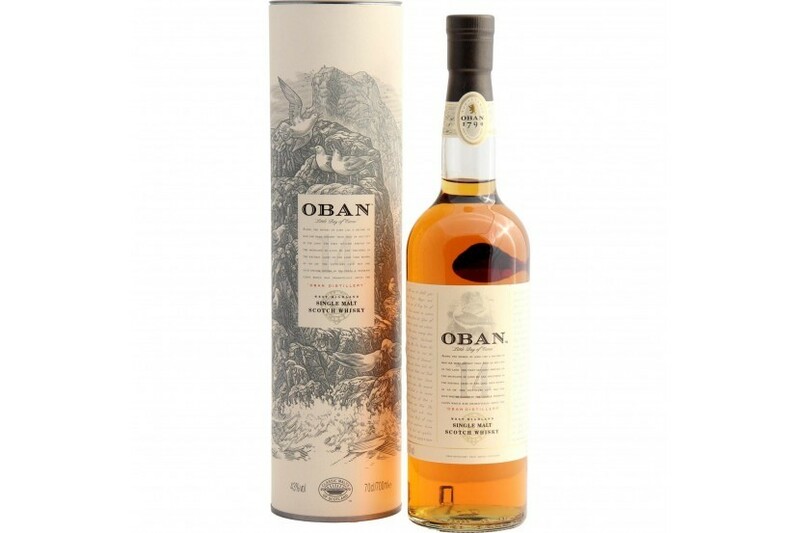 A well-paced, beautifully textured and sweetly generous Oban, whose warming richness is neatly balanced by a smoky spicy-dryness; perfect with a chocolate truffle or two. 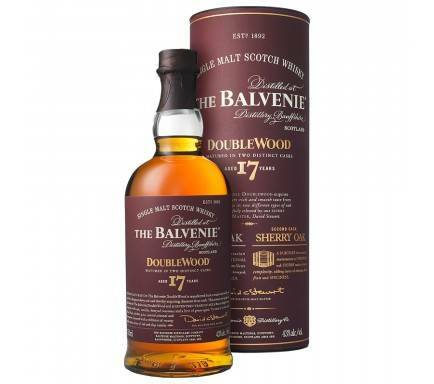 An immediate and assertive, complex and evocative nose, well balanced and well-structured throughout with layers of classic Oban fruit and malt, introduces an equally well balanced palate that starts richly coating then grows dryer and more cleansing, before a long and oaky finish. Immediate and confident; rapidly gaining intensity. 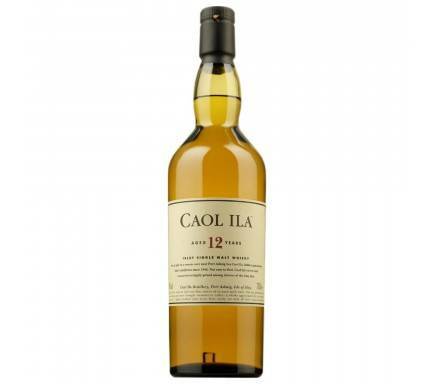 Warming and sweet: oily, waxy and nutty, balanced by delicate ripe orchard fruits. Then, lighter notes of an almondy fruit cake sit atop a denser layer of Christmas pudding. Behind, malty cereal notes are offset by aromatic orange. Much later: traces of brine and smoke, a little menthol and pine resin. Dense and coating, spicy too; sweet, yet menthol- fresh. Filling and warming, with the comforting chewiness of rich fruit-bread and hints of orange zest and clove, before growing drier, still minty, with crisp green apple. 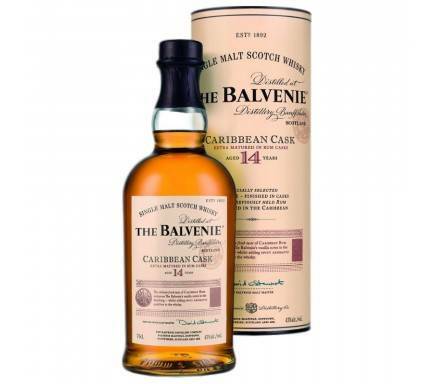 Less dense and fruitier with just a little water, which allows the classic Oban fruit, malt and maritime hints free reign until the balancing, drying spice returns. Long. Quite syrupy at first, then drying, with elegant coating tannins rich in dark chocolate character. Later, pine-fresh. At once cleansing yet chewy, with just a trace of late, slightly cedary, smoke. 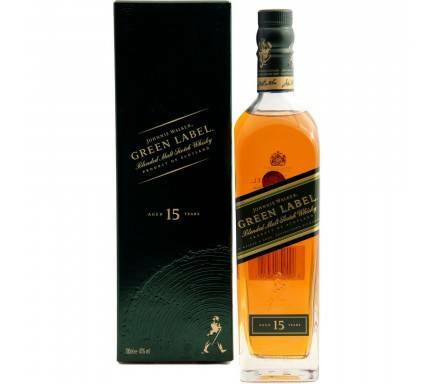 Oban 14 Years Old is best served neat in a tumbler, perhaps with a little cool spring water. 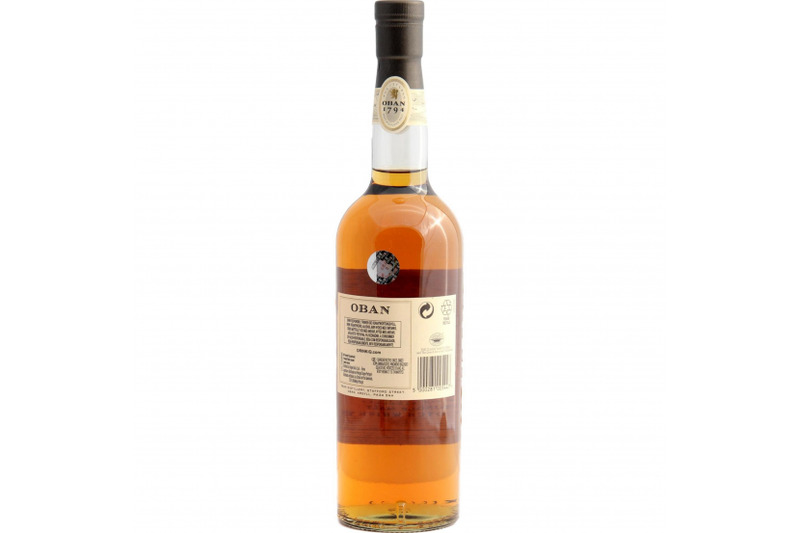 Oban 14 Year Old works well as an accompaniment to seafood like oysters or smoked salmon, and discover new depths of flavor. Bartender's choice: Old Fashioned: Mix the Oban 14 Year Old with Drambuie to create a warming serve with a subtle flavour. Founded by Hugh Stevenson, a local merchant and entrepreneur, in 1794, the distillery has formed part of the town's backbone ever since. Between 1883 and 1887 a man by the name of J. Walter Higgin made vast improvements. This was done bit by bit, in order to keep it in production and so meet the constant demand for Oban Single Malt Scotch Whisky. Today, Oban is made using only the finest barley, malted to the distillery's own particular specification, and finally distilled using those lamp glass-shaped stills. For two centuries Oban's bustling fishing village has set on the frontier of the West Highlands and the Islands, at the meeting place of land and sea. One of Scotland's oldest licensed distilleries, Oban's sheltered harbour is perfect for two thing - seafaring and whisky making. Balancing autumn fruits and sea air, Oban whisky owes its rich and rewarding Highland character to its very long fermentation process. The tiny lamp glass-shaped copper pot stills that make Oban's Scotch are among the smallest in Scotland, and the liquor they distill is slowly condensed in wooden worm tubs outside among the rooftops, exposed to the salted sea air, bringing a distinct depth of flavour said to go very well with salted caramel. Oban is the frontier between the West Highlands and the Islands. Its mild, temperate climate, warmed by the Gulf Stream, sets it apart in a region known for its rugged natural beauty. The proximity to the coast lends Oban some of that salted character for which the Islands are renown, though this is as gentle as the soft rains which give the fishing town its lush surrounds.